Mermaid bath bombs create a sparkling blue-green relaxing bath that not only feels and smells magical, but will definitely bring out your inner mermaid. Make a batch of these fun DIY bath bombs soon! 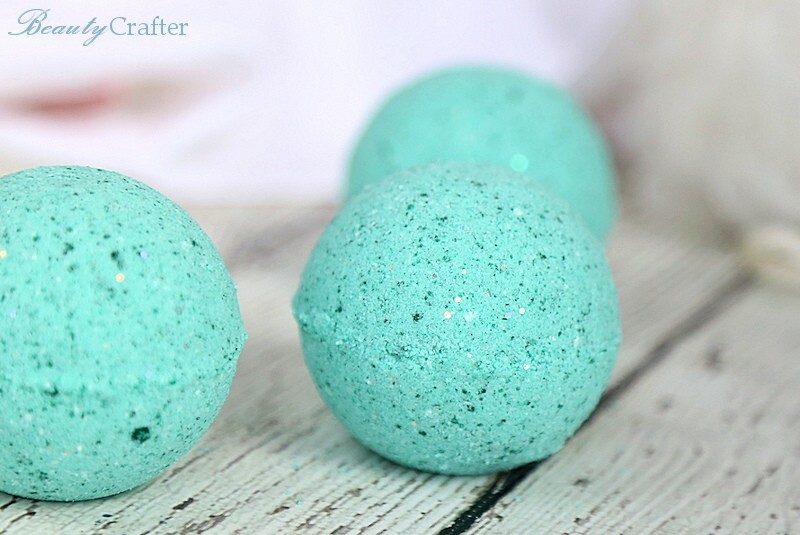 The aqua to teal color is a popular one in bathrooms (my tile is this color), so a jar full of these bath fizzies would display nicely too. To say my 10 year old daughter was excited about this batch of Mermaid bath bombs would be a big understatement. I actually made them specifically with her in mind. She does tend to use up our bath bombs far more than I do. Due to her autism she strongly prefers baths over the shower. Bath bombs enhance her experience and the soothing scents are perfect right before bed. She adores glitter. What little girl doesn’t? So, ample glitter was added to these bath bombs when they dissolve in the warm water the the turquoise colorant makes the bath water a fun sea blue green. Not only does it make the water pretty, but the iridescent glitter I chose mimics mermaid scales. Bath time has never been so fun! While these DIY bath bombs were made with my little girl in mind, they are quite nice for grown ups as well. They also make a fantastic addition to bubble baths! We all want to be a mermaid deep down inside… don’t we. 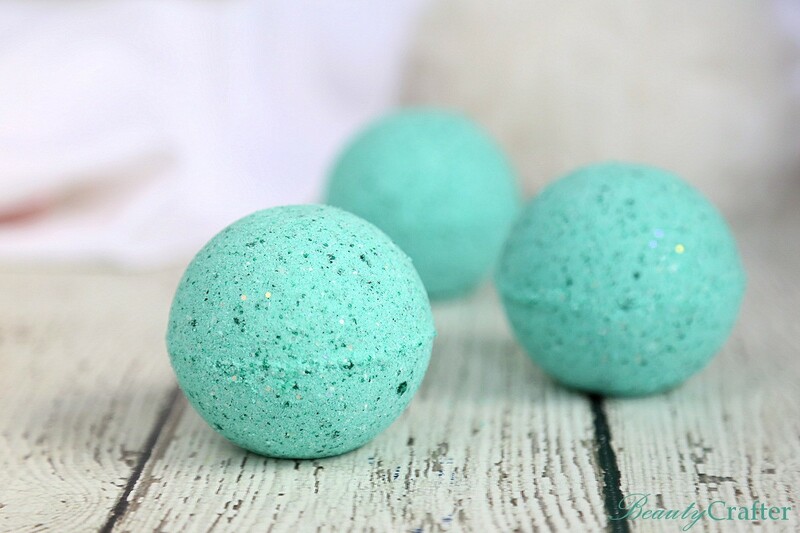 Make your own Mermaid bath bombs for your family or gifting. It’s easy. I do suggest avoiding making bath bombs on humid days, unless you have a dehydrater on hand. The baking soda & cornstarch needed for the bath bombs can be picked up at any grocery store and any brand will do. 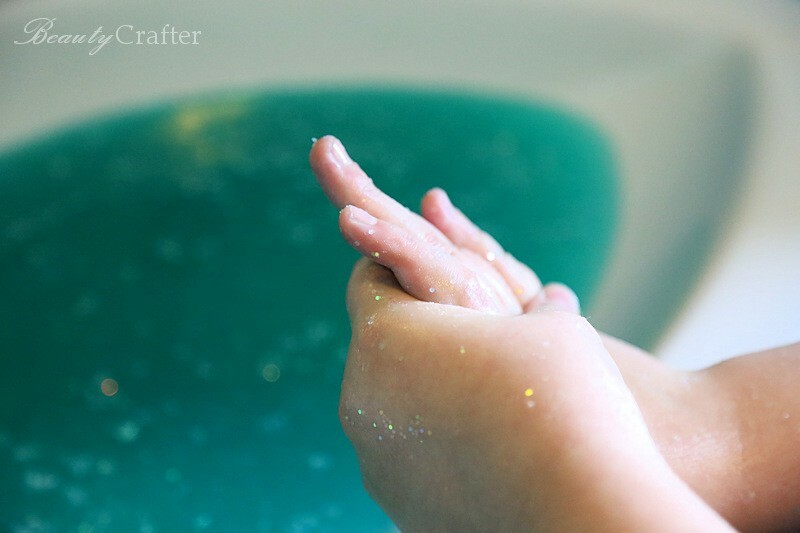 Recipe for making sparkling mermaid bath bombs. Yield: Recipe makes approximately 4 bath bombs. 10 drops of lavender essential oil (or other kid safe essential oil). Whisk together dry ingredients. Then add the oil, dye and essential oil. Whisk well to evenly distribute the colorant. Test the moisture of the mixture by grabbing a handful and squeezing. If a clump is formed which holds together somewhat it should be moist enough to mold. If you need to add a little water, 1/2 tsp at a time. You will not need much. 1 – 1.5 tsp at most**. Scoop up some bath bomb mixture with each side of mold and gently press down then put more mixture on top overfilled and press the sides together firmly over mixing bowl. Give a slight twist and carefully remove the mold. Set each mermaid bath bomb aside to dry. Once the bath bombs are dry, place in airtight container or shrink wrap bags . *Gel food dye is far less reactive with the bath bomb mixture than standard liquid food coloring and imparts a richer color. I find it also works better than powder pigments in most cases and is far less costly. Leftovers have a long shelf life and are wonderful for use in baking and other crafts too. ** too much liquid will trigger the fizzing reaction and bloat your mermaid bath bombs. I made the labels with a foldable back if needed, otherwise just cut that part off if you will be pasting on or attaching with string. 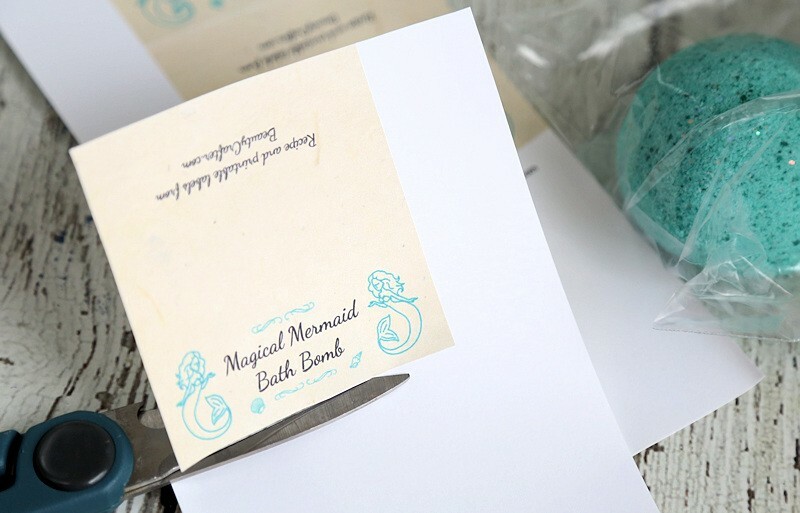 Mermaid Bath bombs are wonderful DIY Christmas Gifts… but why not make it a gift basket? 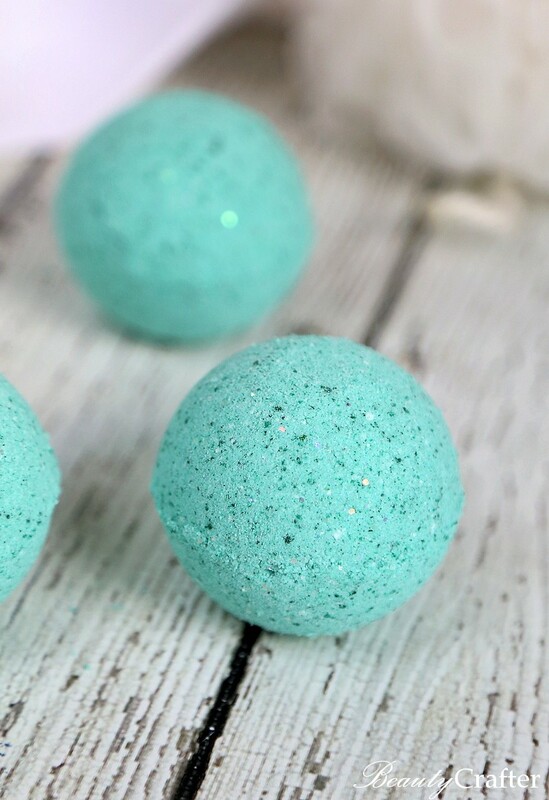 Make one of these to go with your Mermaid Bath Bombs.